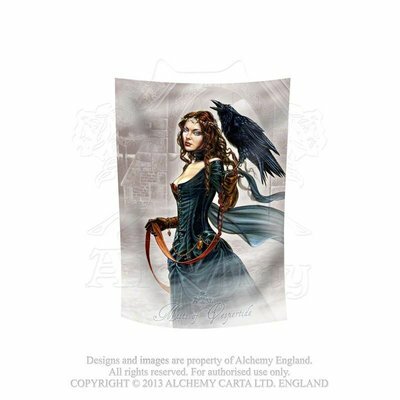 Large, durable, full-color printed, featherweight, polyester poster-flag, for use indoors or out, with the shadowy, beguiling mistress of the raven, gliding purposefully to her misty, evening objective. Gothic romance for use as a poster or landmarker. Full-color polyester poster-flag, with image of the lady of the raven in the Mists of Vespertide. Approximate Dimensions: 29" x 42"